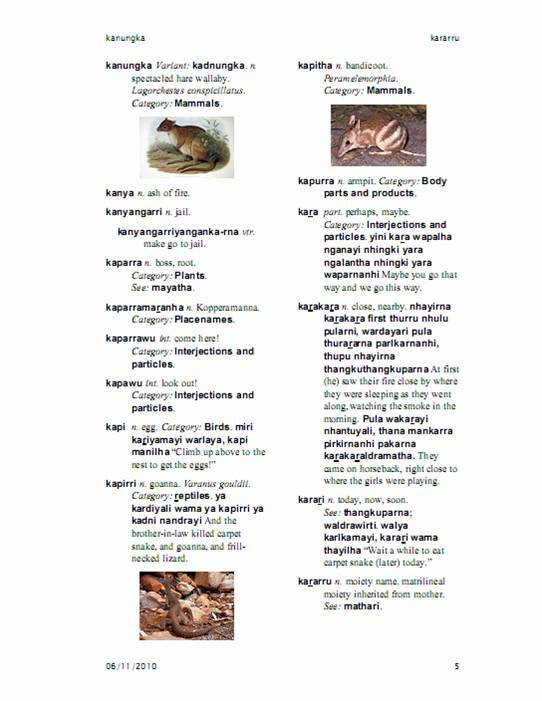 For the Dieri Aboriginal Corporation ILS project we are working on developing several bilingual dictionaries of the Dieri language. We expect that there will be a number of dictionaries that come out of the project, meant for different users and different uses. 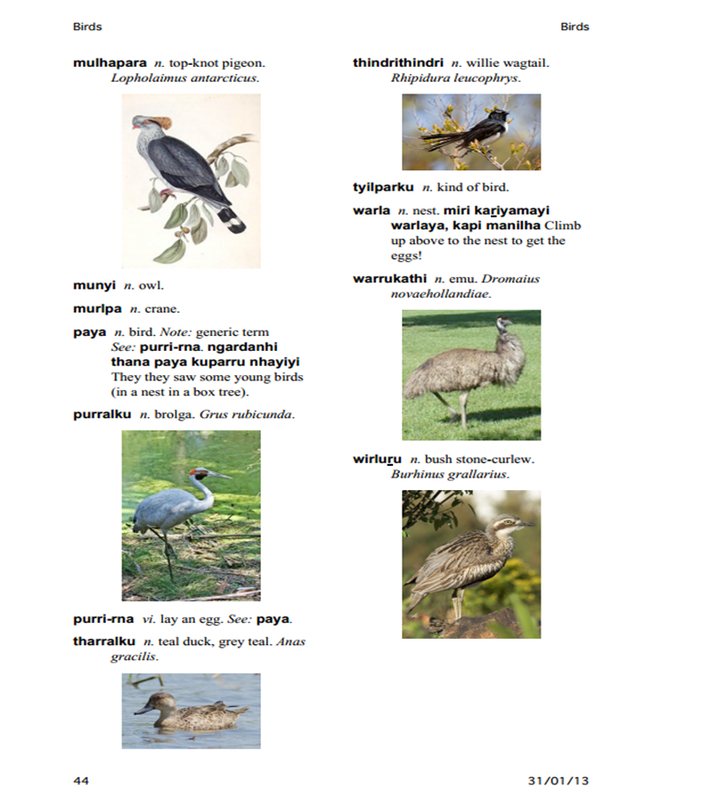 The Dieri-English and Categories sections contain illustrations for plants, animals, artefacts and other words so that readers can gain more information about a particular itemn. Here is one page from the list of words beginning with ka- that shows what the dictionary might end up looking like. We also hope in the future to make a web-based dictionary that includes sounds so that people can hear the words pronounced by a native speaker and then model their pronunciation on them. This entry was posted in Dictionary, News and tagged Materials. Bookmark the permalink.